Forty years and one billion dollars in gross box-office receipts after the initial release of The Godfather, Francis Ford Coppola’s masterful trilogy continues to enthrall viewers old and new. The Godfather Effect skillfully analyzes the reasons behind this ongoing global phenomenon. 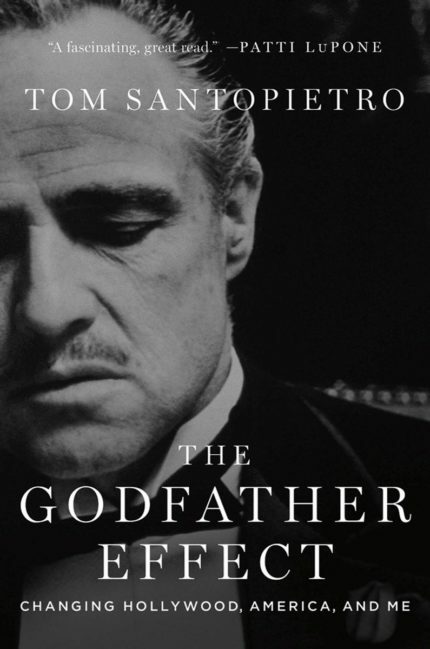 Including behind-the-scenes anecdotes from all three Godfather films, Tom Santopietro explores the historical origins of the mob and why it thrived in America, the manner in which Italian-Americans are portrayed in the media, and how a saga of murderous gangsters captivated audiences around the globe. Laced with stories about Brando, Pacino, and Sinatra, and interwoven with a funny and poignant memoir about the author’s own experiences growing up with an Italian name in an Anglo world of private schools and country clubs, The Godfather Effect is a book for film lovers, observers of American life and Italians of all nationalities. … a beautiful narrative of the way pop culture shapes our self-image. Slickly told… it’s the connections with family that give it a center as sweet as cannoli cream. Using the Godfather trilogy as his mirror, Tom Santopietro delivers a second-generation American’s serious, yet witty analysis of Mob films, Italian life, and our shared American identity.